Despite these efforts by Texas legislators and Governor Greg Abbott to foment hate and scapegoat immigrants, Latinos, and people of color by passing SB4, people across the state of Texas are mobilizing to build power and fight back. 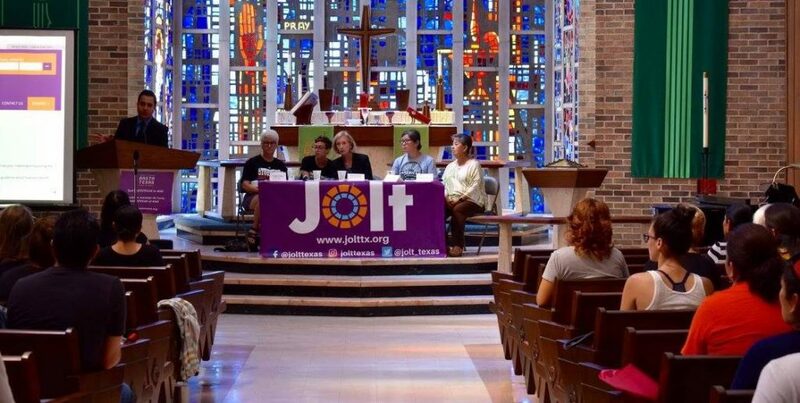 On June 17, community leaders joined forces with Jolt, the National Day Laborer Organizing Network, and Noticias Univision 62 to host a community town hall on SB4. The community town hall was an effort to inform the public of their rights under SB4 and create a collective plan to fight back against the racist law. 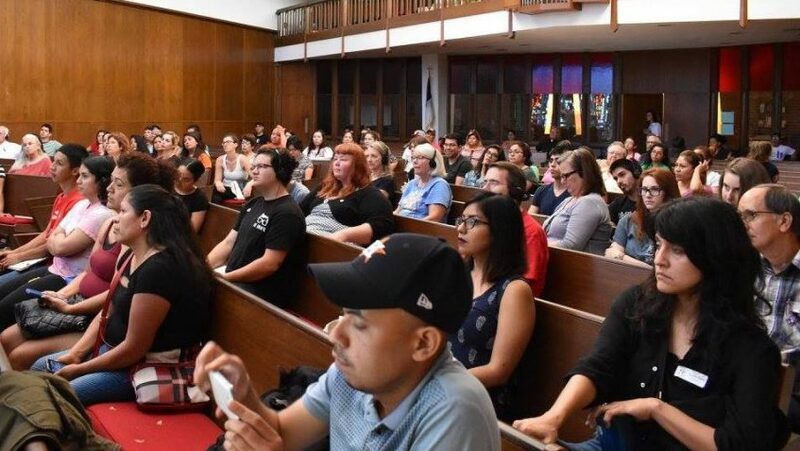 Over 100 Texans participated in the town hall, where they learned about their rights and came up with events and action to fight back against the racist law. Participants were also encouraged to take back the information about their rights under SB4 back to their neighborhoods and host know your right workshops in their homes to spread awareness and build power. To stop SB4 we have to build a movement from the bottom up that will defend our communities, but we need everyone in this movement. Check out the Basta Texas Toolkit to endorse the campaign and start organizing your community to stop SB4. Together, we can stop SB4 and ensure that Texan families can live free from the fear of separation.